Congress President Sonia Gandhi on Wednesday expressed shock and distress over the murder of senior Kannada journalist and activist Gauri Lankesh, saying “this can’t and should not be tolerated”. “Known for her fearless and independent views, Gauri Lankesh had extraordinary grit and determination to take on the system,” an All India Congress Committee (AICC) statement said quoting Gandhi. 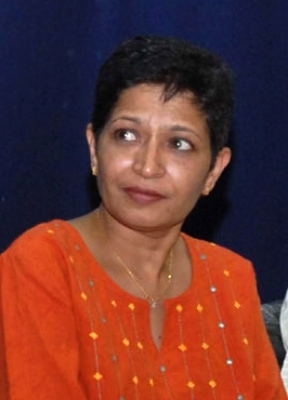 Lankesh was shot dead by unidentified assailants at her residence in Bengaluru on Tuesday. Condemning the debilitating attack, the Congress stands as one with the rationalists, thinkers, journalists and the media fraternity, Gandhi said. The AICC statement said that Gandhi had spoken to Karnataka Chief Minister Siddaramaiah and urged him to swiftly bring the culprits to book. “Every possible measure should be taken to maintain a safe and secure atmosphere in the state,” she added. Expressing her deepest condolences to the family and friends of Lankesh, Gandhi offered her prayers.